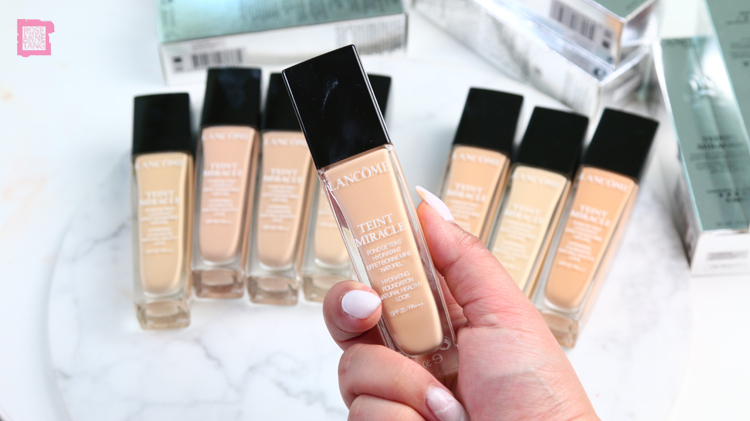 Today I’ll be doing a foundation review on the Lancôme Teint Miracle Foundation! When Lancôme sent over all of their shades, I was ecstatic finally getting the chance to try out this best-seller and in an upgraded formula. This foundation claims to be make-up and skin care in one – with SPF 25 PA+++, Moringa extract that provides the foundation with anti-pollution properties and hyaluronic acid and vegetal glycerine to make the skin soft and supple. It also claims to give you natural radiance and finish apart from feeling comfortable and lightweight. As you can tell, the packaging is sturdy. Thick glass encases the foundation and it comes with a black top pump. Pumps are important! I think you will need about 2-3 pumps for your entire face. There’s also a neat amount of shades to choose from. My shade is in O-025. I like how there are warm and cool tones. 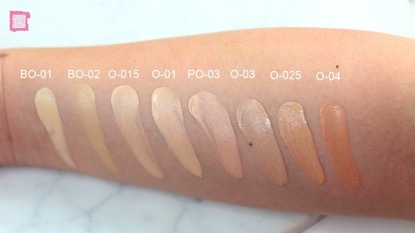 The lightest shade being BO-01 and the darkest being O-04. 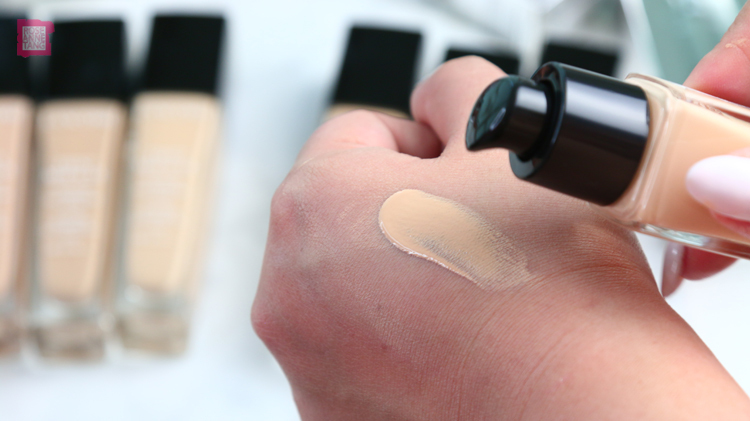 The foundation comes out slightly lighter on the face than swatched. I have to say that this is a solid foundation. After trying it for a while I’ve been really impressed. I see it for sure as a medium to full coverage foundation while still being able to look pleasantly natural. 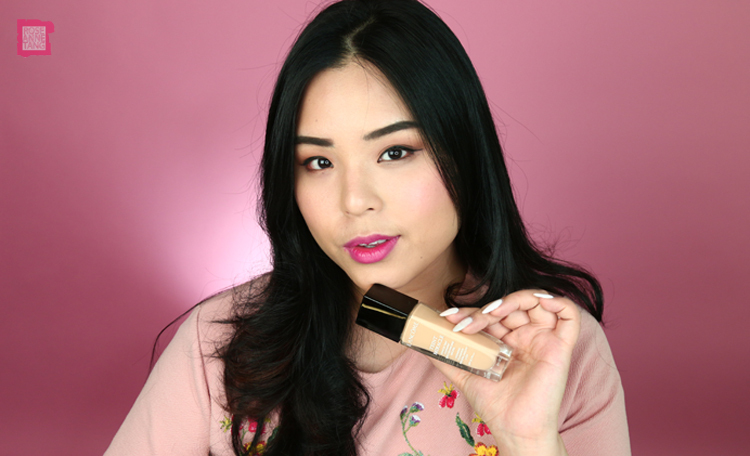 The foundation dries to be a soft matte with a glow and as you can see, it has the ability to correct any discolouration immediately. When both sides are done, the effect even blurs all pores. 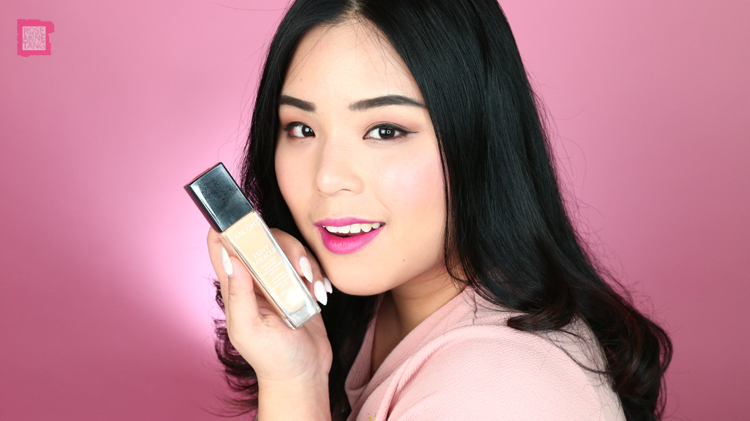 It’s an extremely flawless looking foundation and I absolutely love it. It feels so comfortable on my skin and blends really well. I haven’t been impressed with many higher end foundations but I’m happy to say this joins my small family of high end foundation favourites. Let’s see it with my make-up on! After doing my eyes and brows, I touched up with the Lancôme Cushion Blush Subtil on my cheeks and Lancôme L’Absolu Rouge in 368 Rose Lancôme on my lips. 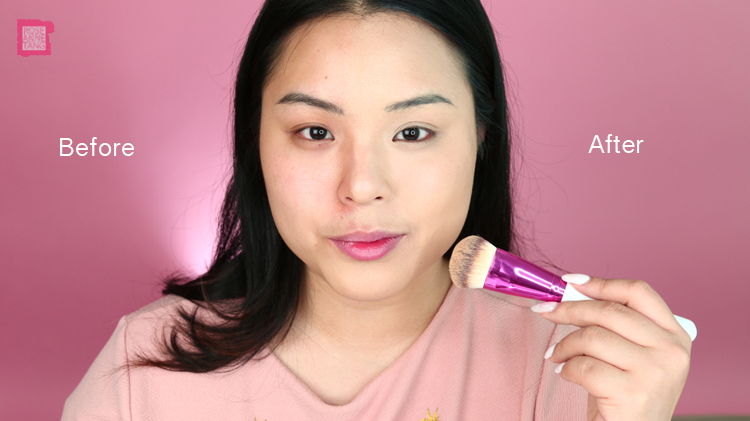 The effect makes the foundation look natural and flawless. Hope you enjoyed this. What’s your favourite foundation of the moment? 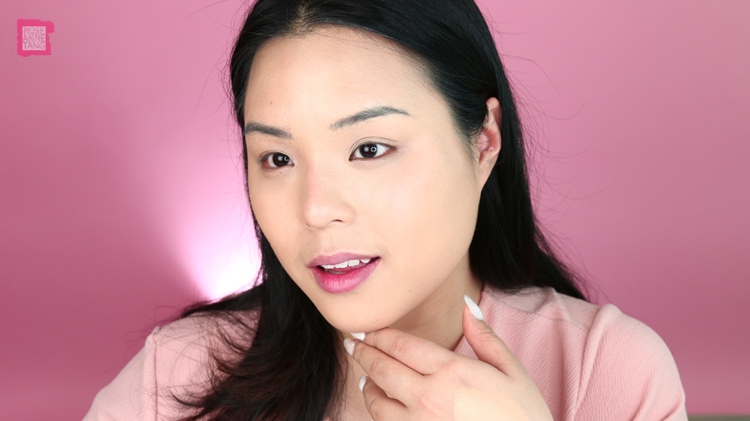 Beauty Blogging Tip: Who needs Photoshop? How to Create Cool Graphics using Microsoft Office Powerpoint 2011!